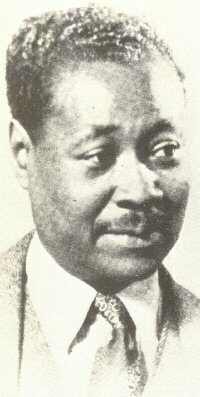 Festus Claudius "Claude" McKay (1889 - 1948) was born in Jamaica to a farming family. Educated primarily by his brother, a schoolteacher, he began writing poetry at the age of 10 and published his first collection at age 20. With the money from that book, Claude moved to the U.S. to attend college. He traveled in Europe and the Soviet Union in his thirties, then eventually settled in Harlem, New York, where he became a key figure of the Harlem Renaissance movement. Posthumously named Jamaica’s national poet, Claude has also been recognized as one of the 100 Greatest African Americans. A bit sad and lovely at the end. Would that I was such a fairy fair. How lovely to be part of a poem. What a wonderful find. Further proof the Harlem Rennascience wasn't just Langdon Hughes, although he cast a long shadow. I particularly like the ending, which, although it's not lineated that way, I like as a couplet. Bravo! I thought Claude McKay was reading my life story back to me. This fine poem touched me. Thanks - A poet I did not know. What a find. Oh, wow! A tender and beautiful poem.